Brooklyn, N.Y.—One person was rushed to a trauma unit after a speeding Lamborghini slammed into a sedan, causing the sports car to break into two pieces. The automobile accident occurred Saturday, September 21, 2013, near the intersection of East 66th Street and Gaylord Drive in Mill Basin, reports the New York Daily News. A security camera on a nearby home showed that the Lamborghini Aventador was speeding down the street as the sedan was headed in the opposite direction. The sedan then made a left into a driveway when the sports car slammed into it. The impact of the crash caused the Lamborghini to break apart into two pieces. 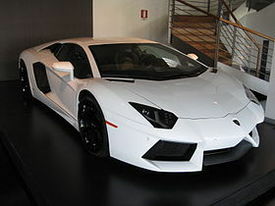 Lamborghinis were designed to break apart in the event of a crash to lessen the energy involved. Responding emergency medical crews rushed one person to Beth Israel Medical Center for treatment of injuries, including trauma to the body. Investigations into the wreck are underway. It is unknown if the driver of the Lamborghini is facing charges.